Increase the ROI of your campaigns by contacting each of your consumers with unique images, text and call-to-actions. Directing them to your social media, enable them to contact you via Phone, SMS and even complete purchases. 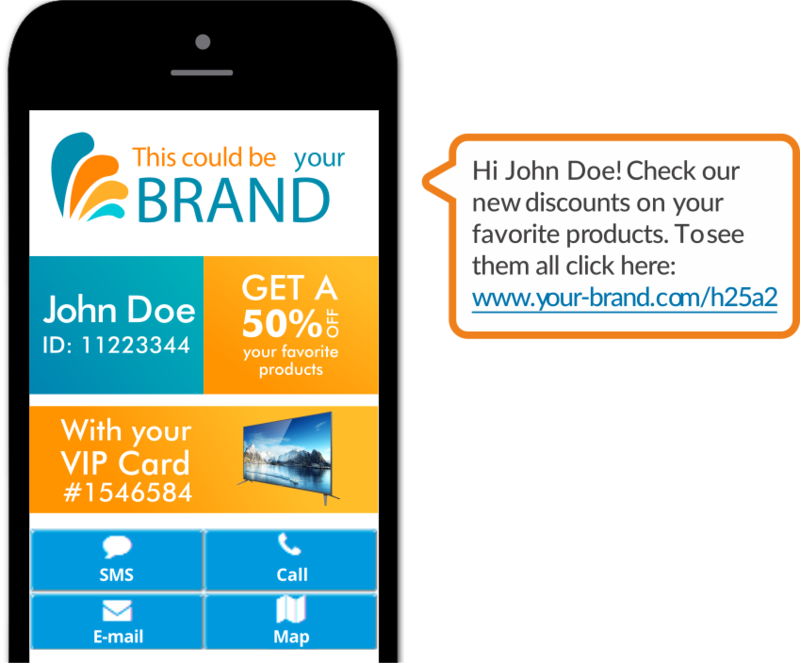 Each text, Image and action can be personalized per user. For instance, each Landing Page could have the name, picture and text for the relevant data or your client. All the information is taken from the excel file or can be sent via API. Want to see it in action: Fill the form at the bottom on this page and you will receive an SMS with a Personalized landing page. In 5 minutes you can create your own custom landing page to promote your services, collect user information, run surveys, sell your products, run donations and much more. Just select your template, drag-and-drop your images, texts, maps, videos, social media buttons and select your call to actions buttons. Send the campaign and wait for the results. Get your customer engaged with ready-to-use call-to-action buttons: Call, SMS, Email, Video, Maps, Facebook, Twitter, SMS-to-Call, Click-to-Call. Include in your landing pages: ready-to-use forms and configurable surveys. Just include in the Landing Page a form to collect the information (Name, Age, etc). We provide powerful real time statistics so you can learn from your data and improve your campaigns. We provide information all the way down to the user level. Know who clicked on each item, where and when.